I left on Monday with mum to travel to Canberra for Congress 2015, a four day genealogy event that’s held every three years in Australia or New Zealand. We stopped at Wodonga for our lunch and visited mum’s cousin Neil. 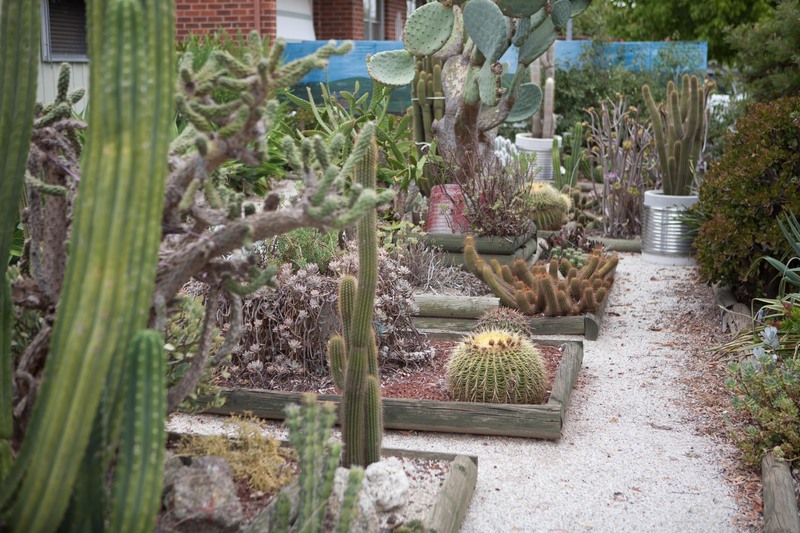 He has a magnificent cactus garden decorated with his paintings. We spent the night in Goulburn as I wanted to do some research around the area on Tuesday. 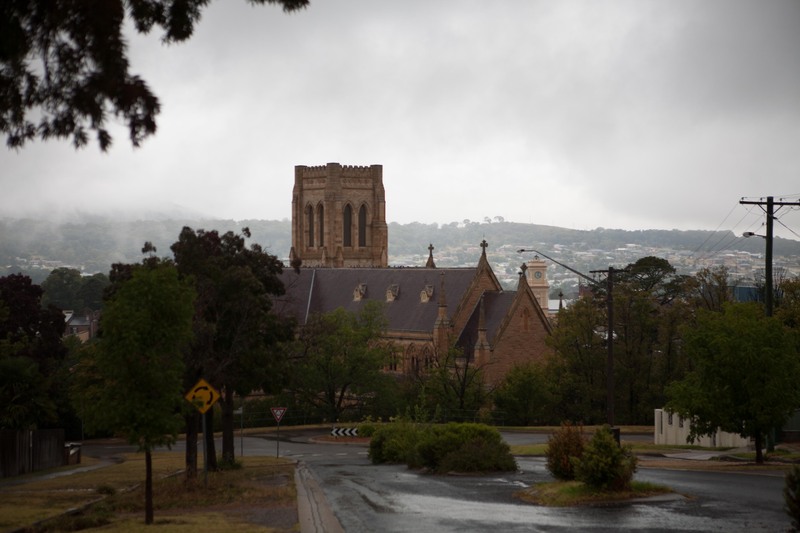 We visited St Saviour’s church in Goulburn as the rain started to come down. It was the first day of their major heritage renovation but everyone was very friendly there. There are volunteers to assist you. It was built in the 1870s on the site of the first church that was commenced in 1839. All that remains of the original church is some brick floor and a painting. Next I went to the Goulburn library to look at their history section where a very helpful man assisted me. It was interesting to see some of the local history books and learn about Terence Aubrey Murray. I’ve since been able to buy a reprint of the book about him by Gwendoline Wilson. It was still raining as we drove to Gunning for lunch. It’s always a good stop for lunch or a coffee if you haven’t stopped at Jugiong at the Long Track Pantry. The Gunning library was open from 2 to 5pm so I went in and spoke to Ros who has created a local historical section, however she lamented that many of their local history items were held at Goulburn. Then on to Yass where I visited the Yass Historical Society. I was able to date two photos I have by William Fearne to October 1866. They were very helpful. I met Cheryl who was fantastic sending me an email with some research she’d done for me overnight. I was enquiring about soldiers in the 1840s around Lake George and Goulburn. They didn’t have any information but she did tell me about the Towrang convict stockade just outside Goulburn but probably too far for someone living at Lake George. Finally on to Canberra. On Wednesday I visited HAGSOC (Heraldry & Genealogy Society of Canberra) to see if they had any records of the early soldiers. Barbara was excellent and showed me Brigadier Austin’s chart showing the regiments that were in Australia during each year. Very helpful. From there I visited the Canberra Historical Society where I was able to buy the book on Terence Aubrey Murray and also Colonial Women. Next stop was the National Library for lunch and to see what records they held on the early soldiers. 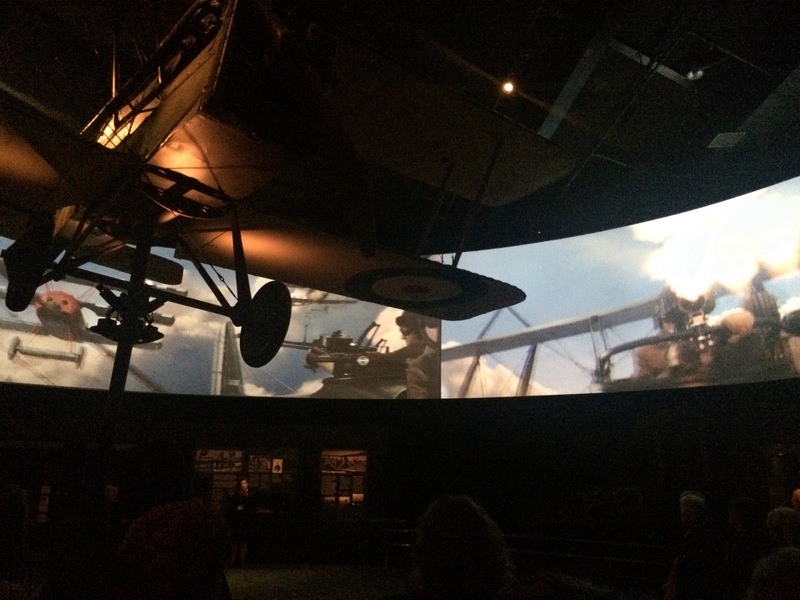 The pay lists from the English regiments were filmed as part of the Australian Joint Copying Project (AJCP) and are a record of all the soldiers in the regiments. The reels are arranged in regiments over time so quite easy to use. They include details of desertion, transfer, pay docked etc. On Wednesday evening we went to the daily last post ceremony at the war memorial. 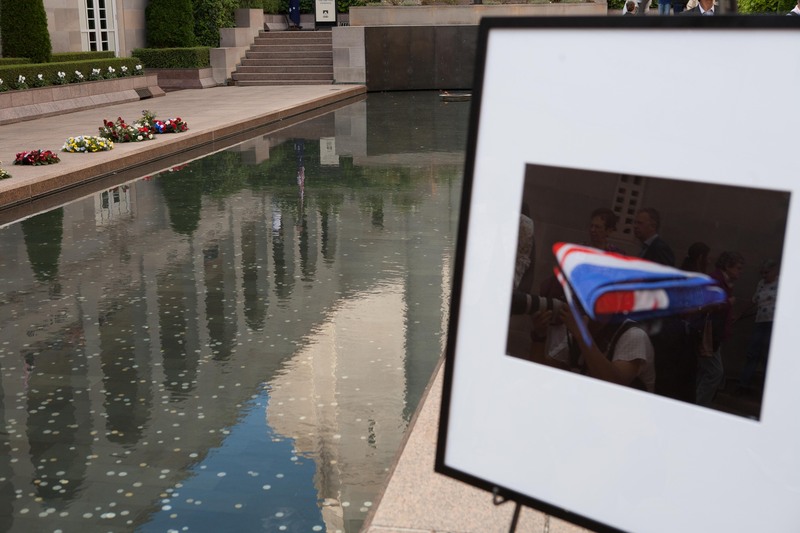 It was dedicated to the men lost on the Sydney in World War II and a Vietnam Veterans tribute. There were a number of school children there who laid wreathes in pairs. It’s always a moving ceremony. Another trip to the library on Thursday to spend some more hours going through the reels to ascertain when men joined and left their regiments. A really interesting archive. Then back to the war memorial on Thursday night for the opening ceremony of Congress 2015 held under G for George in Anzac Hall. It was a good night catching up with old friends and making new ones. It was a learning experience reading about your trip to Canberra. Your methodical research is exceptional.. I appreciated reading your research all the way to the Congress. Matilda Read’s family – how wonderful is DNA testing?